Take & Share Wind Reports Anywhere. 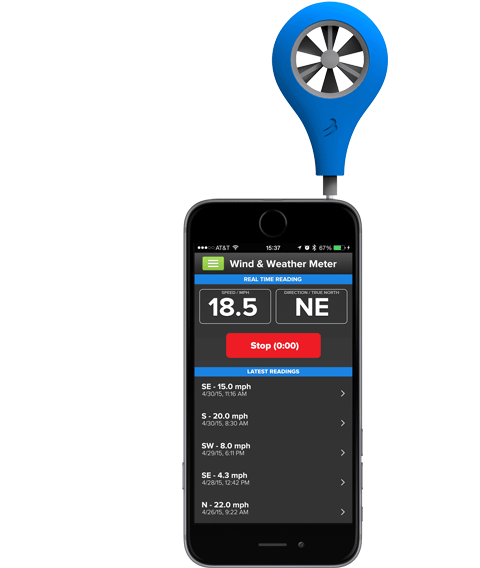 This portable anemometer plugs into the audio port of your smartphone and provides real-time wind measurements. Data is recorded directly in the downloadable app (available on App Store and Google Play) and is accurate in 2-125 mph winds. 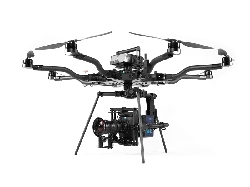 Calibrated at the University of Florida’s Aerospace Engineering Department, this is the most accurate handheld anemometer on the market. 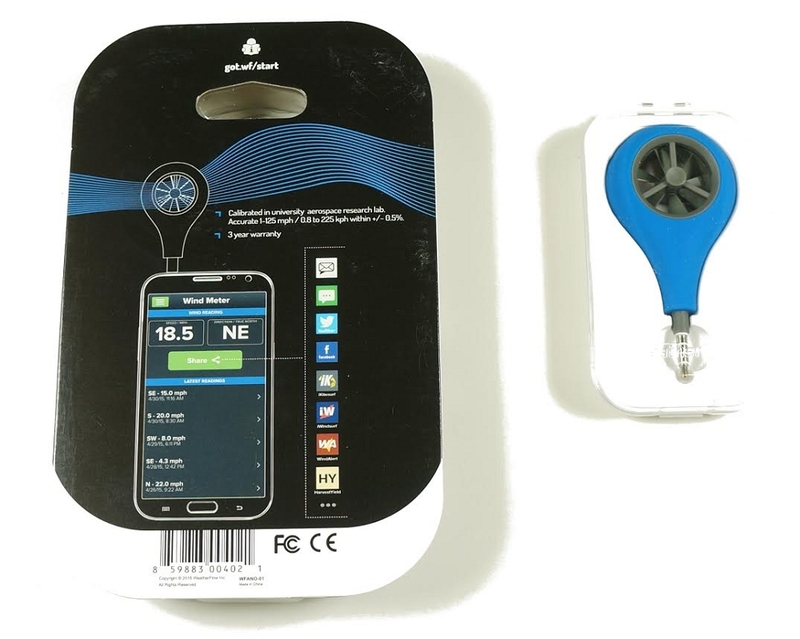 Simply hold your smartphone with the meter up high facing into the wind. 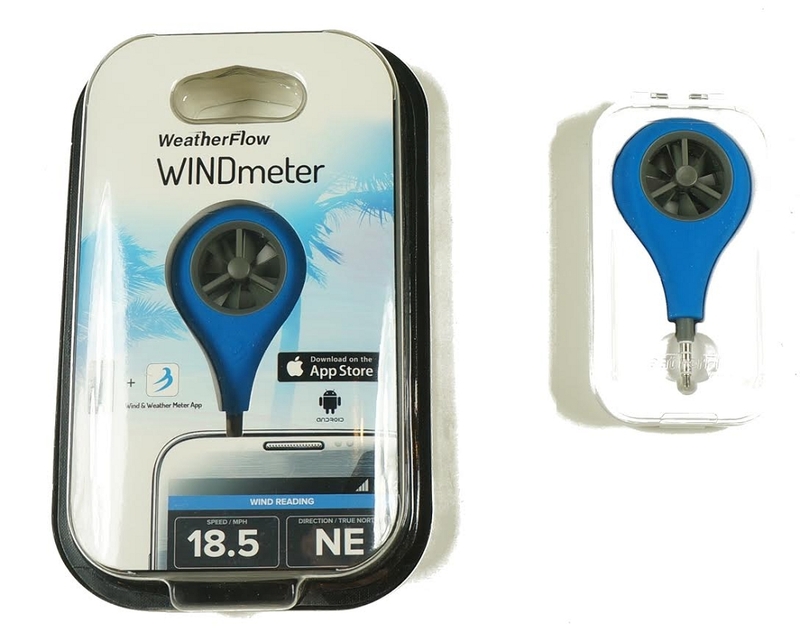 The app does the rest by recording the wind speed (average, lull and gust), wind direction and location.This meter can even register accurate wind speed when not fully held directly in the wind. Its operating range extends from the smallest puff to well over hurricane force winds - ideal for use when sailing, fishing, hunting, golfing, and all outdoor activities.